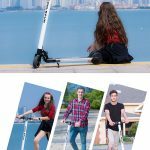 •Foldable Slick Scooter has a top speed of 20KM/h. •Front white LED light display, With fully adjustable handlebar height. 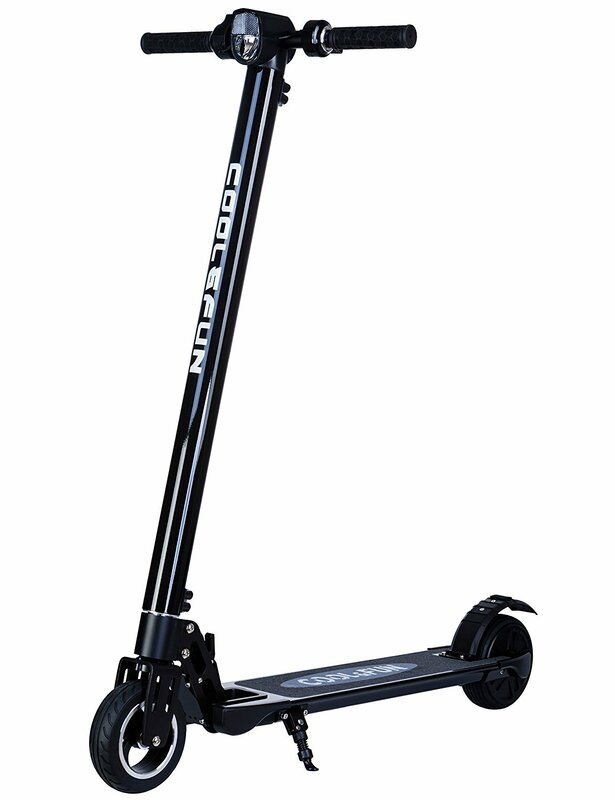 •Motor Power: 250W, Battery Range:20-25KM. IP54 waterproof. •Folds in 5 seconds, Net Weight: 8.5 kg, easy to carry in the bus or subway. Braking : electromagnetic brake on front wheel and emergency foot brake on rear wheel ( activated by pressing on rear mudguard ). – Throttle on the right and braking lever on the left. LCD Screen, Display: speed (kilometres), temperature, battery charge level and percentage strength, light switch. 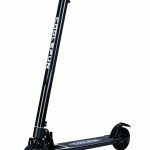 Can carry a passenger weighing up to 120 kg. Maximum power: : 250 W. Maximum speed: : 20 km/h. charge time: 2 to 3 hours. Total weight ( with battery ) : 8.5 kg. 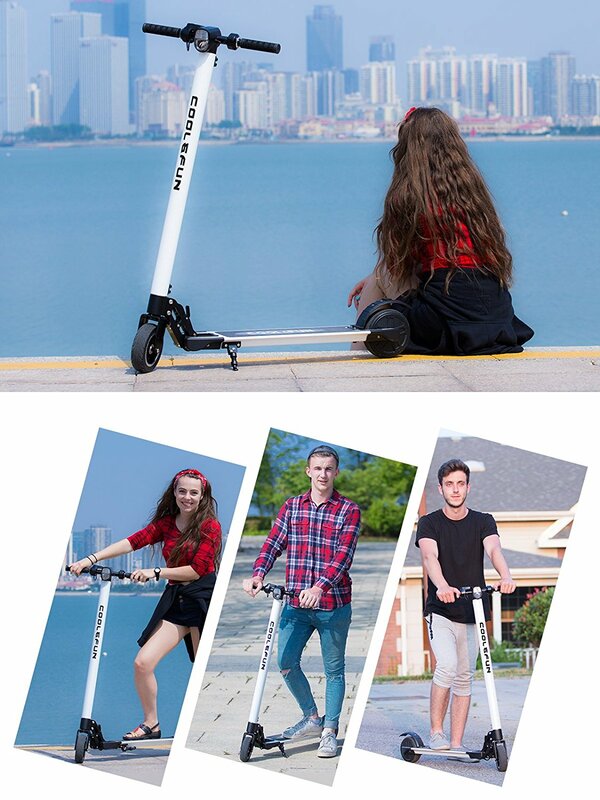 Scooter is guaranteed for 1 year.